PREPARE TO BE IMPRESSED! 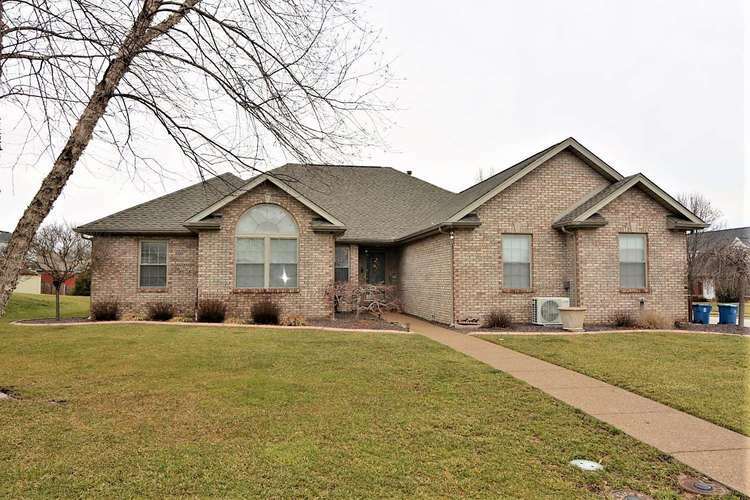 TERRIFIC 3 BEDROOM 2 BATH ALL BRICK RANCH WITH OPEN FLOOR PLAN. LOTS OF UPDATES. BEAUTIFULLY UPDATED KITCHEN WITH QUARTZ COUNTERTOPS. SUPER CLEAN THROUGHOUT. 3 CAR SIDE LOAD HEATED DREAM GARAGE THAT HAS LOTS OF ELECTRICAL OUTLETS AND HOT AND COLD WATER. HOME SITS ON A CORNER LOT AND HAS PARKING SPACE FOR RV OR BOAT. LAWN HAS AN IRRIGATION SYSTEM AND IS PRIVACY FENCED. PER OWNER ROOF IS ONE YEAR OLD WITH ICE SHIELD AND HAS A 25 YEAR TRANSFERRABLE WARRANTY. HOME BUYERS WARRANTY INCLUDED FOR ADDITIONAL PEACE OF MIND. DON’T MISS THIS RARE OPPORTUNITY!! !